Xenos Motor Glider. 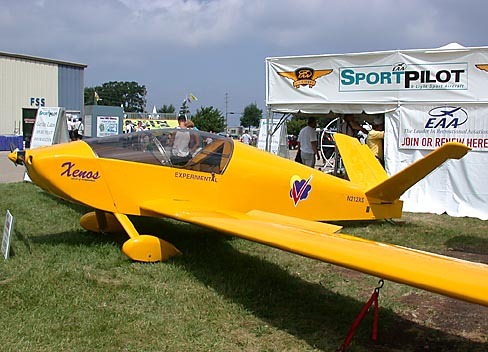 From Sonex comes a kit soon to be available in utility or aerobatic form. It's intended to take off and climb to altitude under its own power and then shut down for silent gliding. Projected kit price: $28,000. 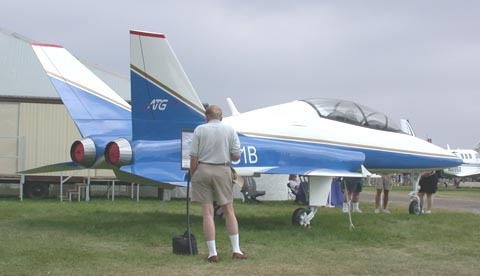 Flight Design CT2K. Here's a carbon-fiber/Kevlar composite airframe, built in the Ukraine and certified in Germany. It will be sold here in ready-to-fly form for as little as $58,000. 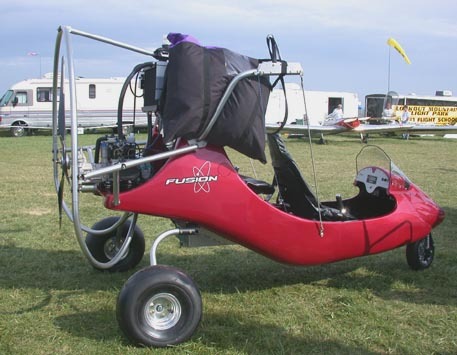 Power is provided by a 4-cylinder Rotax of either 80 or 100 hp. Destiny Fusion. This is a new wrinkle, the first powered parachute with full carbon-fiber panels. Add a clever independent suspension for the trio of wheels (to help avoid rollovers) and minimal exposed tubing for the framework--plus a cockpit enclosure that's coming soon--and you've got a look that's quite different from the rest of the class. Price for the fully assembled Fusion is $16,300. 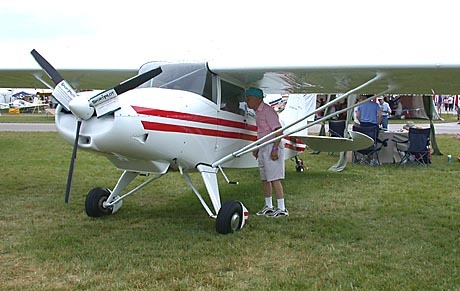 Maule M4-100. 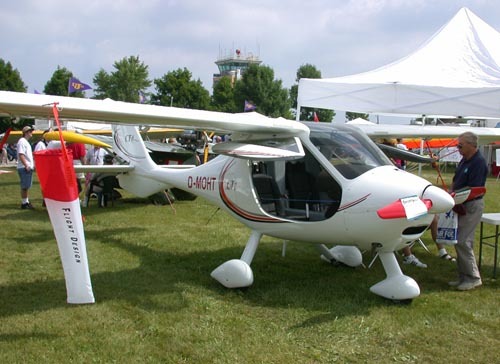 Maule's design is an adaptation of the company's original 1957 model that has been in production for 40 years. Projected price for this factory-built classic (from Moultrie, Ga.) is between $70,000 and $80,000 in ready-to-fly form. 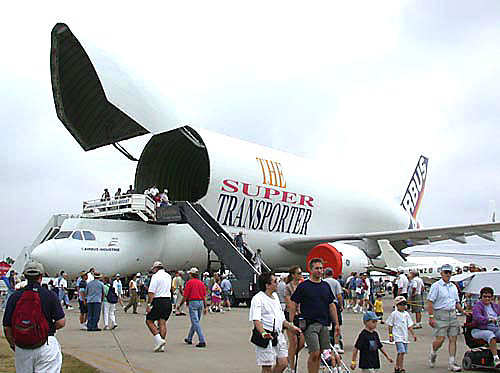 Don't think for a moment, though, that all the onlookers here at Oshkosh were shopping for an entry-level airplane. Just a short walk from the Sport Pilot candidates and within reasonable hiking distance of the more upscale Pipers and Cessnas, was what might be the ultimate private sportplane, the military-lookalike Javelin from Aviation Technology Group. This 600-mph, $2.2 million jet won't be available for delivery until 2007, but you'll be glad to know it's destined to be single-pilot certified. Alas, the maximum baggage load is 200 pounds, so families might have to take this one off the shopping list. 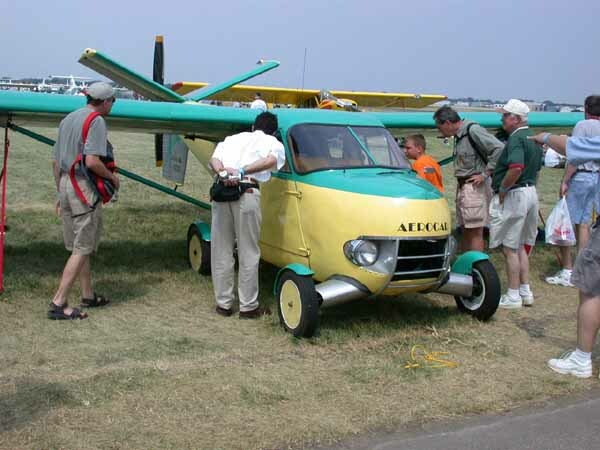 A few steps away, lighthearted oddballs such as the 1956 Aerocar Model 1 (formerly owned by TV star Bob Cummings) draw curious onlookers who consider how such a vehicle might be more useful today than when it was proposed back in the Eisenhower era. If it would qualify for Sport Pilot classification, this might be an idea worth trying again.